With 2018 already in progress and a new tax year fast approaching, there are plenty of changes to keep the payroll profession on their toes. Maybe not as many as in previous years, but we all know how quickly that can change. income tax (where you have previously underpaid). Corporate, business and commercial credit cards are not affected by this change, and HMRC will continue to accept personal and commercial debit cards. Well, we’ve had ten months or so bedding in the changes to legislation surrounding benefits in kind (BiKs) in conjunction with a salary sacrifice, that came in to effect in April 2017, but if the queries from our members are anything to go by it has been a long and arduous year. From April 2018, for those already voluntarily payrolling company cars as a BiK, it will be mandatory to submit car data information in the full payment submission returns. Those employers providing company cars (and are not voluntary payrolling them as BiK), can continue to process in the normal way via P11D and P46 (Car) returns. Bear in mind that the ‘amount foregone’ is only the part of the salary sacrificed amount that relates specifically to the taxable car. It does not include the amount sacrificed for payments and benefits associated with taxable cars, such as a servicing package. You should therefore apportion the full amount of the salary sacrifice (or cash allowance) between the taxable car and the tax-exempt benefits. plan 2 loans will rise to £25,000. The £21,000 repayment threshold for plan 2 student loans was to be fixed until 2021. However, it seems the government have realised that they won’t be getting in as much money as they first thought and perhaps in a bid to attract student voters has now reversed that decision. The earnings threshold will be increased to £25,000 from 6 April 2018, and for future years will increase in line with average earnings. The new threshold will apply to those who have already taken out and will take out loans for tuition and living costs for full-time and part-time undergraduate courses in the post-2012 system and those who took out or will take an advanced learner loan for a further education course. On 6 April 2018, the upper threshold will rise to £45,000 from £41,000. Both the repayment and variable interest thresholds will be adjusted annually in line with average earnings thereafter. The Scottish draft budget published on 14 December 2017 proposed a new 19p starter rate of tax, freezing the basic rate at 20p. In addition, a new intermediate rate of 21p was introduced and a 1p increase applied to both the higher rate and top rate respectively. * Assumes individuals are in receipt of the standard UK personal allowance. 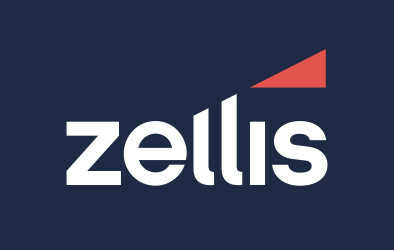 Employers across the UK with employees who are Scottish taxpayers have little time to ensure that payroll software implement these changes. Human resources departments will also need to be ready to receive possible grievances from those employees who do the same job as a colleague but, because of their residency status, may pay more in income tax from April 2018. The CIPP ran a quick poll when the draft budget was announced, asking if existing payroll software will be able to accommodate these changes from April 2018. At the time of writing responses showed that 41% would, 10% would not, and the remaining 49% were unsure. Will your existing payroll software be able to accommodate these changes from April 2018? In November 2017, the government announced that they would introduce the National Insurance Contributions (NICs) Bill in 2018. The measures it would implement will now take effect one year later, from April 2019. These include abolition of class 2 NICs, reforms to the NICs treatment of termination payments and changes to the NICs treatment of sporting testimonials. In light of the last-minute changes announced at Autumn Budget 2017, it would be advisable (if you haven’t done so, already) to check that your software can adapt to these changes. The one-year delay to the implementation of the NICs Bill means that the new employer charge on termination payments over £30,000 will now start from April 2019. Other changes to the income tax and NICs treatment of termination payments will still have effect from April 2018, subject to parliamentary approval. These include income tax and class 1 NICs liability on all payments in lieu of notice and the removal of foreign service relief for employees resident in the UK. These changes will not require any changes to software. On 6 April 2018, all employers will be required to increase the minimum contribution from the current level of 2% of qualifying earnings to 5%. Employers must increase their contributions to at least 2% and that of their staff increased so that the total minimum contribution is not less than 5%. On 6 April 2019, the contribution levels further increase, where the employer will be required to pay a minimum of 3% with the total minimum contributions needing to reach 8%. Employee contributions must make up the difference, which could be up to 5%. On 17 December 2017, the Department for Work and Pensions published their automatic enrolment review 2017 recommendations with two key proposals: to remove the lower earnings limit and to lower the age limit from 22 to 18. The government’s ambition is to implement the proposed changes to the framework in the mid-2020s. There will be discussions with stakeholders around the detailed design in 2018/19, finding ways to make the changes affordable, followed in due course by formal consultation with a view to introducing legislation. The date is fast approaching where those employers in the voluntary, private and public sector that employ 250 or more relevant employees on the snapshot date will be required to publish their gender pay gap figures. The snapshot date is 5 April in the private/voluntary sector and 31 March in the public sector. On 25 May 2018, the General Data Protection Regulation (GDPR) will be implemented in the UK. It will apply to personal data processed within the European Union (EU), and to organisations outside the EU that supply goods and services to individuals within the EU. Many of the GDPR’s main concepts and principles are built on the current legislation which is the Data Protection Act 2008. It is no longer adequate to say you comply with data protection requirements; you will be required to demonstrate how you are complying. Appoint a data protection officer within your organisation (no matter how small). It is being widely mooted that transferring information by email is no longer acceptable, unless it is encrypted. There are fears that small businesses (or agents) will not be able to afford the software needed to encrypt emails. We are advised that it is possible to obtain such software easily and cheaply, but of course that is only one part of the equation. If you are an agent, how are you going to convince, persuade, cajole etc your clients to use it? 20 million or 4% of global turnover. So, you need to be prepared and this involves nominating staff for key roles, revising processes and procedures and liaising with third parties. For further guidance see Preparing for the GDPR: 12 steps to take now on the website of the Information Commissioner’s Office (http://bit.ly/1XLwlsA). 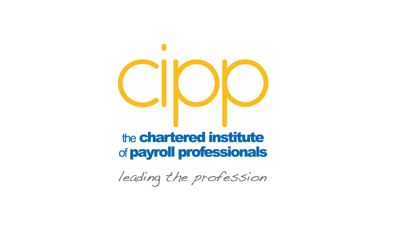 The CIPP also run a half-day course on GDPR; details can be found under ‘payroll training’ on our website. This briefly sums up the changes for 2018–19, but there are several consultations due to be published this year so please keep an eye on our news pages to see how you can get involved. It is your knowledge and experience that provides the CIPP and policy team with the valuable detail to help influence policy change.